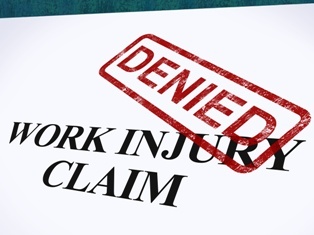 My workers' compensation claim was denied, what now? For injured workers, having a workers' compensation claim denied can be confusing, frustrating, and maybe even a little bit scary. Fortunately, a denied claim is not the end of the road for workers seeking compensation for injuries sustained in the workplace. Delaware's workers' compensation laws give claimants multiple opportunities to appeal if their claim is denied. 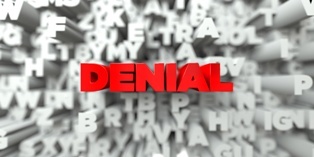 My Delaware Workers' Compensation Claim Was Denied, What Do I Do Now? The first step is to appeal the denial to the Industrial Affairs Board (IAB) through the Delaware Office of Workers' Compensation. Immediately after receiving notice that the claim was denied, the injured worker can start the appeals process by submitting a Petition to Determine Compensation Due to the Office of Workers' Compensation. State statute of limitation laws requires this petition to be filed within two years of the date of the injury. After the petition is filed, the employer and injured employee file pre-trial memorandums, attend a pre-trial scheduling conference, and present their cases to the IAB. Once both sides have finished introducing evidence and calling witnesses, the IAB gives its decision in writing. For many injured workers, this is the end of the journey. However, the IAB does not always reverse the initial claim denial and, when they don't, workers can feel like they are right back to square one. Though it may feel like it, that is not the case, as injured workers can press on and appeal their claim denial through the state court system. After the worker receives the IAB's decision upholding the initial claim denial, they have 30 days to file an appeal with the Superior Court in the same county where the workplace injury took place. If the Superior Court also denies the claim, the final chance for appeal rests with the Delaware State Supreme Court. Injured workers must appeal to the state Supreme Court within 30 days of the Superior Court's claims denial. 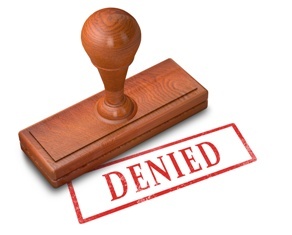 A denied workers' compensation claim does not mean that you are ineligible for benefits. A skilled workers' compensation attorney can help you appeal your denied claim to the IAB—and beyond. Contact the Morris James Personal Injury Group today to schedule an appointment for a free initial consultation for your workers' compensation case. 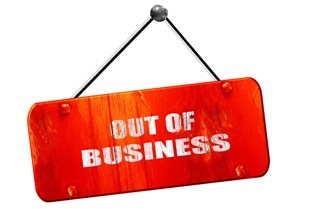 What happens to my workers' compensation claim if the company I was working for goes out of business in DE? An on-the-job injury can temporarily—and sometimes, permanently—put construction workers out of commission. When this happens, workers often rely on workers' compensation benefits to help make ends meet. For injured construction workers who are counting on workers' compensation benefits to cover their medical expenses, or provide temporary total or partial disability payments, learning that the construction company they worked for has gone out of business can be concerning. Many workers in this situation find themselves wondering what will happen to their workers' compensation claim and whether their benefits will suddenly stop. While the closing of a business can cause some minor delays in the processing of new claims, it doesn't mean that securing workers' compensation benefits are impossible, or that workers already receiving benefits will see them eliminated. Workers' compensation benefits are administered by a company's insurance carrier, so even if the company goes out of business , benefits continue. However, when a construction company goes out of business, it can create some issues for injured workers whose workers' compensation benefits are dependent on returning to work. If the worker's position at the company—and the company itself—no longer exist, it can be difficult to show compliance with the terms outlined in the workers' compensation benefits agreement and statute. Fortunately, a knowledgeable Wilmington, DE workers' compensation attorney can help clients navigate these and other potential issues with their claims. If you were seriously injured in a construction accident or diagnosed with a work-related medical condition, and the company you worked for has suddenly gone out of business, it's important to consult a skilled workers' compensation attorney to ensure that your right to collect benefits is protected. The knowledgeable and experienced workers' compensation attorneys with the Morris James Personal Injury Group can review your case and help you explore your legal options. Contact us today to schedule an appointment for a free case analysis. How do I appeal a workers’ compensation decision that I do not agree with? In Delaware, employees who are injured on the job are often entitled to workers' compensation benefits for medical expenses and wages lost by being unable to work during their recovery. However, in some cases, the injured worker's claim may be denied, or the employer and employee may be unable to reach an agreement on what benefits are owed. For someone injured in the workplace, a workers' compensation claim denial can be confusing, frustrating, and maybe even a little frightening. Fortunately, a denied claim or inability to come to an agreement with an employer is not the end of the line. Injured employees can appeal a denied workers' compensation claim through the Delaware Office of Workers' Compensation if necessary. If you are considering appealing a workers' compensation claim denial for a workplace, here's what you need to know. The injury occurred while the employee was off duty or not performing work-related tasks. The employee was under the influence of alcohol or illegal drugs when he was injured. The employer believes that the injury or illness was preexisting, or was caused by factors unrelated to the claimant's employment. The injury happened while the employee was roughhousing or engaged in a personal, non-work-related dispute with another worker. The employee failed to immediately report his injury to an employer. While some of these factors may result in a legitimate denial of a workers' compensation claim, sometimes a claim is denied simply in the hope that the injured employee will not pursue it. Before accepting a workers' compensation claim denial, it is best to consult an experienced workers' compensation attorney. After receiving notification that a claim has been denied—or after being unable to reach an agreement with an employer regarding workers' compensation benefits—the injured worker can file a Petition to Determine Compensation Due with the Delaware Office of Workers' Compensation to begin the appeals process. This petition must be filed within two years of the on-the-job injury. Next, both parties file a pre-trial memorandum with the Office of Workers' Compensation and attend a pre-trial scheduling conference. Finally, the parties present their cases during a hearing before the Industrial Affairs Board (IAB) in which both sides introduce evidence and question witnesses. The IAB will issue its final written decision, approving or denying the claim. Sometimes, the decision the IAB issues is not the one the injured worker was hoping to receive. Fortunately, the claimant's options are not yet exhausted. The employee, in certain circumstances, can still appeal the decision through the court system. After receiving notice that the claim was denied by the IAB, the injured worker has 30 days to appeal the decision to the Superior Court located in the county where the injury occurred. If the Superior Court also denies the claim, the claimant has 30 days to file an appeal with the State Supreme Court. The injured worker must take into account that the court system reviews IAB decisions to determine if substantial evidence exists in the record to support the IAB’s findings of fact and to determine if the Board erred in its application of the law. Because of this heightened legal standard, an experienced workers’ compensation attorney can be particularly beneficial in analyzing the facts in an injured worker’s case and determine the likelihood of success of an appeal before incurring costly court fees. Do You Need a Wilmington, DE Workers' Compensation Attorney? If you were injured on the job, the experienced attorneys with the Morris James Personal Injury Group can help you fight for the workers' compensation benefits you deserve. Contact the Morris James Personal Injury Group today to schedule an appointment for a free initial consultation to discuss the details of your case, call 302.268.6918. What might prevent me from being able to recover workers’ compensation benefits for a workplace injury? People who were injured on the job often count on workers' compensation benefits to cover related medical bills and provide temporary total disability payments until they are well enough to return to work. Workers' compensation is a system, created by the Delaware legislature, which has become by law automatically part of your employment contract and provides benefits to workers who are injured while working. Employers with one or more employees are required to carry workers' compensation insurance. 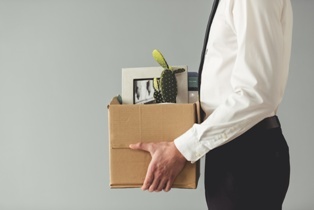 The workers' compensation statute prohibits an employer from firing or, in any other manner, discriminating against an employee for filing a claim for benefits. If you were recently injured in an on-the-job accident, here's what you need to know about workers' compensation claims in Delaware. You can contact the Wilmington, DE Workers' Compensation Attorneys at Morris James Personal Injury Group by filling out a contact form. The Delaware Workers’ Compensation Law provides substantial protections and benefits to the injured worker. However, as with any law, it can be a very complicated process to muddle through. It is also an adversarial process, putting the injured worker in need of benefits against the workers’ compensation insurance carrier, which is interested in limiting benefits. Workers' compensation benefits are paid by the employer or the employer's workers’ compensation insurance carrier. The benefits are outlined in Title 19 of the Delaware Code and are administered by the Office of Workers’ Compensation (part of the Delaware Department of Labor). These benefits include lost wages, medical care, permanency, disfigurement, mileage reimbursement, and death benefits. The insurance company for your employer is not required to advocate for you or to even inform you of some of the various categories of benefits that you may be entitled to. In addition, some of the benefit categories may be best pursued on a timetable unique to your case that needs to be chosen with your maximum recovery and long-term interests in mind. Disputes between you and your employer regarding benefits are handled by the Industrial Accident Board or “IAB.” The IAB is basically the court of first resort for workers’ compensation disputes. However, despite the workers' compensation statute, there are still things that could jeopardize an injured worker's ability to recover benefits. Here are some of the most common reasons insurance companies give for denying workers' compensation claims. After an on-the-job injury, workers must notify their employer in accordance with deadlines known as statutes of limitations. It is critically important to appreciate that action needs to be taken quickly after a work-related accident or injury in order to preserve and secure benefits available under the statute. Indeed there are several time limits that may apply to the facts of each individual case. It is important to remember these issues are applied and decided in an adversarial process. The various and sometimes complex time limitations can and will be used by the employer’s representative or carrier as a weapon to deny the injured worker benefits that otherwise would have been available. Generally, the time period in which an employee has to file a case with the IAB is two years from the date of the original incident or five years from the payment of any benefit under the statute by the employer’s workers’ compensation insurance carrier. However, the limitations period is shortened to one year for occupational exposure cases. Occupational exposure cases include cases where the statutory definition of an “occupational disease” is met as a material component in the injury. The best way to avoid having problems with deadlines is to make sure the claim is opened properly following your work incident. There are two documents which should be completed and filed with the IAB right away. While it is the responsibility of the employer and its carrier to see that these documents are filed with the Board, the insured worker should make sure this has been done. One of the advantages of being represented by an experienced workers’ compensation attorney is that your attorney acts as your watchdog to make sure that the employer and its carrier do what they are supposed to do. Workers who fail to notify their employer before the statutes of limitations have expired forfeit their right to receive workers' compensation benefits for their injuries. If intentional misconduct is determined to have played a role in a workers' compensation case, the employer's insurance company will decide if it was significant enough to warrant a denial of benefits. Insurance companies try to reduce their financial obligation to injured workers whenever possible. One way they do this is by disputing the worker's claims about how and where the injuries occurred. For example, an insurance adjuster may claim that the injuries happened while the employee was away from the workplace and not engaged in work-related duties. Another common insurance company tactic is to try to attribute the worker's injuries to a previous accident. For example, if a worker injured his shoulder in a previous bicycle accident and went on to injure that same shoulder at work, the insurance adjuster may claim that the majority of the discomfort is due to the original injury in an attempt to minimize his benefits. Did the incident occur while you were within the course and scope of your employment? Did the work incident result in injury? Was the injury verified by a Board Certified Physician? Is this an accepted or contested claim? If it is a contested claim, are there reliable witnesses to the work incident, and certified expert medical witnesses willing to testify in support of the claim? If it is an accepted claim, has the claimant been paid all applicable benefits outlined above pursuant to the Delaware Workers’ Compensation Statute? Is the claim within the applicable statute of limitations? If you were injured at work or diagnosed with an illness caused by your job, an experienced workers' compensation attorney can help address any potential barriers to recovery and fight to ensure you receive the benefits to which you are entitled. Do you have questions or concerns about your workers' compensation claim? Contact the Morris James Personal Injury Group today to schedule a free initial consultation. How much time do I have to file for workers' compensation in Delaware? After being injured on the job or diagnosed with a work-related illness, workers may also face financial challenges such as unexpected medical bills or wages lost by missing work while they recover. Fortunately, Delaware law requires most businesses with employees to carry workers' compensation insurance that offers a wide range of benefits to those injured in the workplace. However, very strict laws—known as statutes of limitations—govern just how long an injured employee has to initiate the workers' compensation claims process or petition the Industrial Accident Board regarding a denied claim or disputed benefits. Waiting too long to notify an employer of a workplace injury or occupational illness can put a worker's ability to collect workers' compensation benefits in jeopardy. If you suffered an on-the-job injury, here's what you need to know to protect your right to benefits. How long injured or ill employees have to notify their employers depends on whether they are seeking workers' compensation benefits for an on-the-job injury or occupational illness. Employees who sustain an injury in the workplace must notify their employer immediately and request medical services. Employers are not required to begin providing workers' compensation benefits until they have received this notice. After the claim is acknowledged, the employer and employee sign an Agreement to benefits, and the employer files a copy of the agreement with the Delaware Industrial Accident Board. Unfortunately, not all workers' compensation claims resolve in an amicable agreement between employer and employee. When a claim is denied or an employer refuses to agree to benefits, the employee has two years from the date of a workplace injury to file a petition with the Delaware Industrial Accident Board. The petition results in a hearing before the Industrial Affairs Board (IAB), which issues a final decision accepting or denying the claim. If the claim is denied, the worker has 30 days to appeal the decision to the Superior Court. When an on-the-job injury changes or worsens, the affected worker may require further workers' compensation benefits. Delaware's workers' compensation system allows employees whose cases were previously approved by the IAB to file claims for renewed or increased benefits within five years of the date the last compensation was paid. *The injured worker must treat with medical providers who are Certified by the Industrial Accident Board. Do You Need Help Handling a Delaware Workers' Compensation Claim? If you were injured in a workplace-related accident, the knowledgeable Delaware Workers' Compensation Lawyers with the Morris James Personal Injury Group can help you ensure you receive all the benefits to which you are entitled. Contact us today to schedule a free initial review of your workers' compensation case.